A woman at work on an aircraft canopy. 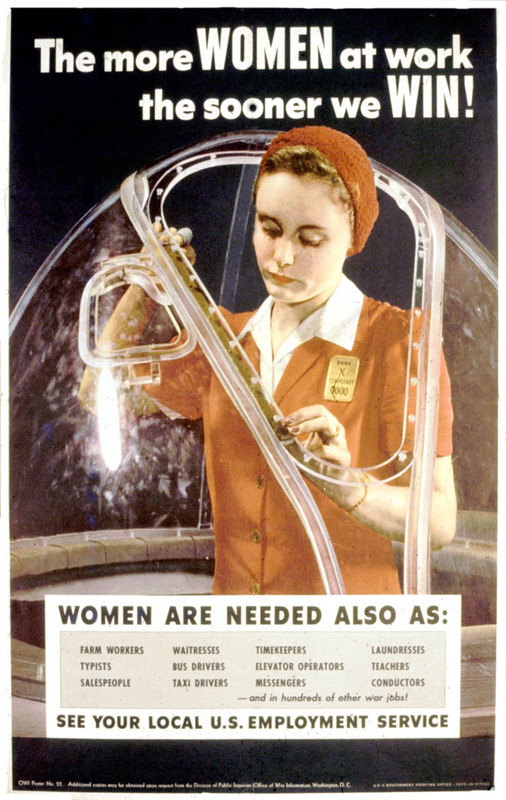 Poster Text: THE MORE WOMEN AT WORK / THE SOONER WE WIN! / WOMEN ARE NEEDED ALSO AS: / . . . SEE YOUR LOCAL U. S. EMPLOYMENT SERVICE.